A former permanent secretary in the administration of former governor of Katsina State, Ibrahim Shehu Shema, Yusuf Sule Saulawa was today December 29, 2017 convicted by Justice Sanusi Tukur of the Katsina State High Court of one count of Obtaining by False Pretense. 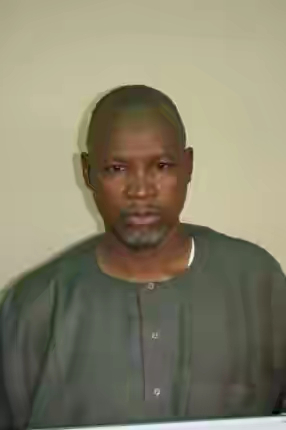 The convict fraudulently obtained the sum of N2.5 million from the complainant while he was a permanent secretary attached to the office of the Deputy Governor of Katsina State on the pretext that the office would award the complainant a contract for the supply of fertilizer to all the Local Government areas in Katsina State. Saulawa claimed that the money was for the purchase of bidding documents. It was further alleged that after obtaining the money, the convict cut all contacts with the complainant. In the course of prosecution, EFCC counsel Sa’ad Hanafi Sa’ad called 3 witnesses and tendered many exhibits. After both parties closed their case on the 3rd of October, 2017, final written addresses were adopted and the case was subsequently adjourned to December 29 for judgement. In his judgement, Justice Tukur said he was convinced that the prosecution had proved the case beyond reasonable doubt and pronounced the accused guilty as charged. Saulawa was accordingly convicted and sentenced to seven years imprisonment without option of fine.